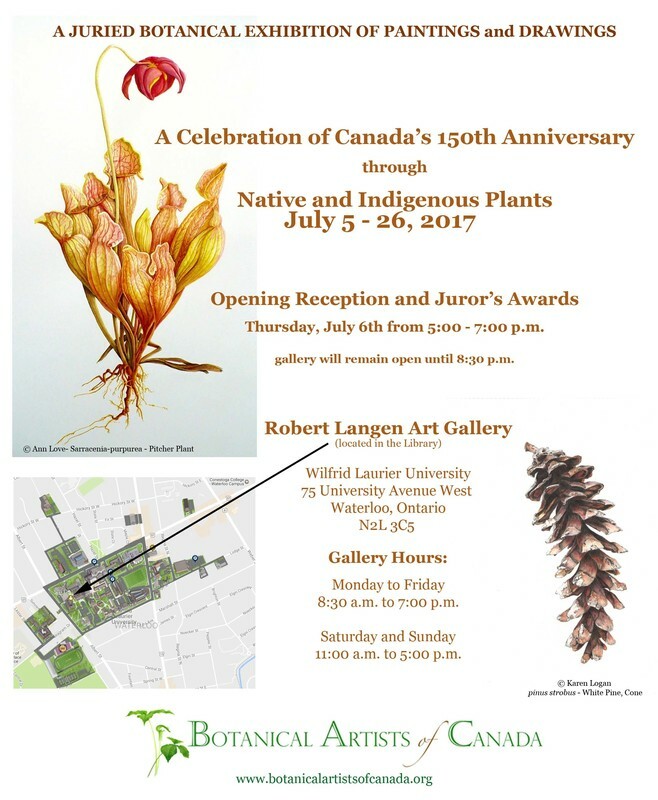 The Botanical Artists of Canada presented a Juried Botanical Exhibition of Paintings and Drawings depicting native and indigenous plants of Canada to celebrate Canada's 150th Anniversary. "A plant (including fungi) that originates or occurs naturally without direct or indirect human intervention within the geographical borders of Canada." October 28 to November 8, 2015. Rayma Peterson is an art educator and botanical artist who works primarily in watercolour, pen and ink. Her paintings are historical documents, showing plants in their native habitats in a given location in western Canada.